Ahem, I dont think so. Russ November 13th, 2009| No comments - be the first!|Tags: Google - Navigation. Google Labs is in the process of developing a new application called Google Fast Flip. It promises to give the user ‘a new reading experience that combines the best elements of print and online articles’ and one of the developers, Krishna Bharat, wants the public to give their feedback on the trial version that has just been launched. Firstly, it is important to understand why Google Fast Flip was introduced in the first place. According to industry insiders it is to help resolve the conflict between an ailing newspaper industry and companies such as Google and Yahoo that aggregate content online. Apparently what is needed is to encourage people to read more news from actual news sites, and to do that, we need faster navigation of media-rich news content online. A recent Senate hearing heard how Google have tried to resolve the issue through using living URLs to direct news searches to the relevant source. The idea is that all news stories will be at a single updateable URL, and therefore easily found by anyone searching a story. This will, in theory hand power back to journalists and those in the news industry; and combined with faster page navigation, it will feel like Google has donned the Santa hat. This all seems rather altruistic for a search company, and has therefore raised suspicion about the real reason behind Google Fast Flip…. Russ September 18th, 2009| No comments - be the first!|Tags: Google. A number of fellow loafers at the marina showed interest in using the tab that I have created within iGoogle to gather together items of interest for sailing. If you havent yet created an iGoogle page of your own I highly recommend doing so – have a look at this video to see how easy it is. After you create your iGoogle page then you can create “tabs” which house different collections of widgets. For example I have a “tab” called “Local” where I see all the local entertainment and news. Similarly I have created a tab called “Sailing” see screenshot below. Russ September 3rd, 2009| One comment so far - be the next!|Tags: Google - Software - Weather - Wind. 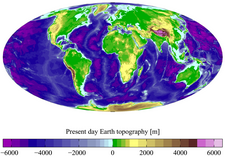 The National Geophysical Data Center (NGDC) provides scientific stewardship, products and services for geophysical data describing the solid earth, marine, and solar-terrestrial environment, as well as earth observations from space. It is their work on the marine geophysical data or bathymetry that is of interest to me. 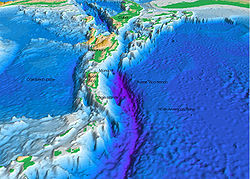 Bathymetry is the study of underwater depth of the ocean floors. A bathymetric map or chart usually shows floor relief or terrain as contour lines (called depth contours or isobaths), and may additionally provide surface navigational information. Most surveys of navigable waterways in the United States are performed or commissioned by the United States Army Corps of Engineers, for inland waterways, and the National Oceanic and Atmospheric Administration for oceans. Coastal bathymetry data is available from the National Geodetic Data Center. Bathymetry data is often referenced to tidal vertical datums of MSL or MLW. 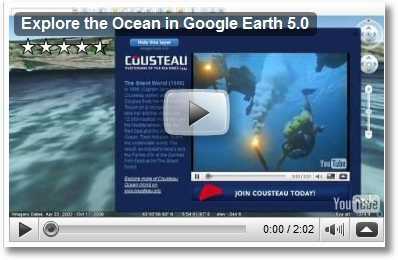 I am very excited by the news that the US Navy will share information on the worlds oceans with Google. STENNIS SPACE CENTER, Miss. 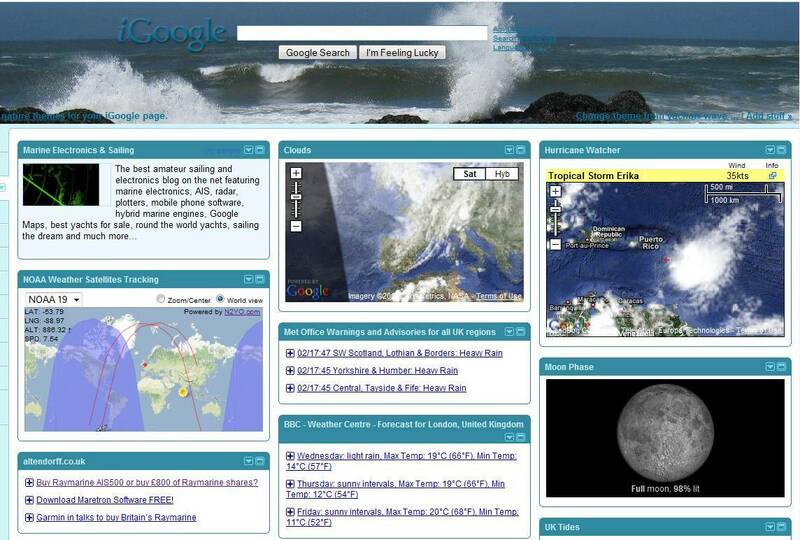 (NNS) — The Naval Meteorology and Oceanography Command (NMOC) entered a cooperative research agreement to share unclassified of information about the world’s oceans through the new version of Google Earth launched Feb. 2. The unclassified bathymetric data sets, sea surface temperatures and ocean current information from NAVOCEANO are incorporated in the new version of Google Earth, launched today. This is one huge boost to the trend for many amateur and not so amateur people all over the world who have been laboriously trying to use a variety of data sources – and now Google Earth – to display bathymetric data for our ports and other areas of sailing interest. People like Peter Minton who over the past year has mapped all the islands from Papua New Guinea to the west coast of South America. This is an enormous piece of voluntary effort that involved over 10,000 island polygons. For example, Ailuk Atoll is made up of 57 small islets or motus. To accomplish this Herculean task Peter used the software from Global Mapper and Landsat ETM+ as base imagery. “…the latest release of Google Earth, making features like Ocean, Historical Imagery, and Touring available to Google Earth users everywhere. We’re happy to open up these new worlds of exploration to our Enterprise customers, with new releases of Google Earth Pro and Google Earth Enterprise also available today. This is a tremendous advance for organizations who work on — or under — the Seven Seas, or who have archives of historical photos and data that they’d like to make more accessible to their employees. This work is being master minded by Bryan Atwood, Product Manager, Google Earth Enterprise. As you all know by now Google Earth provides a 3D view of earth that you can zoom in and out of, comprised of compositing satellite imagery into one skin. The counterpart to that product is the 2D Google Maps, which can be viewed from within a web browser. The KML specification developed by Keyhole, dubbed by Atwood “the HTML of the geographic web,” is an XML type format that describes geospatial data, which allows you to see your data on top of different platforms. Recently KML was submitted to OGC and will be approved in the next month or two. Funded in 2000 by In-Q-Tel, a company that identifies and partners with companies developing cutting-edge technologies to deliver these solutions to the Central Intelligence Agency and U.S. Intelligence Community (IC), Keyhole was a separate company, acquired by Google in 2004. 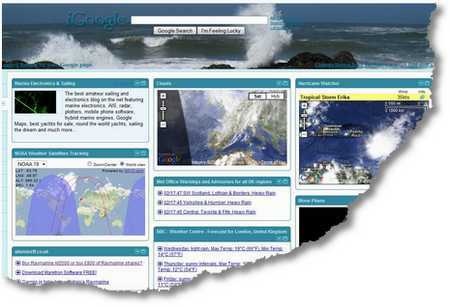 As a result of that purchase, in 2005 Google Earth was released. In-Q-Tel is a CIA funded agency.. Naturally IQT partners with many other US Government agencies such as the National Geospatial-Intelligence Agency (NGA), and DoD’s Defense HUMINT Management Office (DHMO). now the Defense Counterintelligence and Human Intelligence Center (DCHC). This symbiotic relationship between the US Gov, Google and private enterprise is so interesting. And this post builds on my post that reminded us how dependant we are on the grace and favour of US Government agencies for good old HF radio…never mind GPS and the Internet itself ! I am not really that bothered that the US Govt is the funding source and the major source of the initiatives behind geospatial technology – combined with Google of course as a major channel to private enterprise and world wide adoption and, of course, dependence. 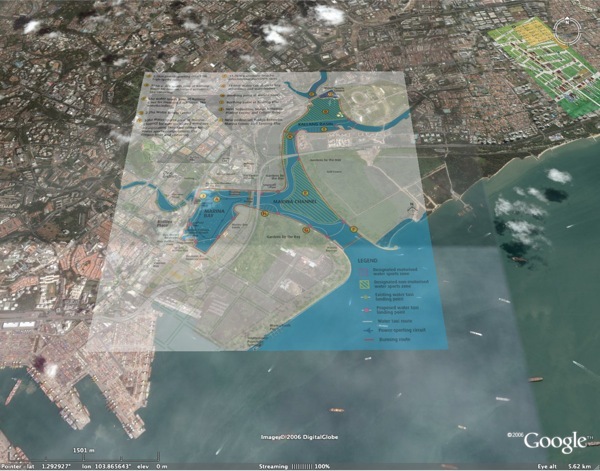 Have a look at the excellent work at this “visualize Singapore” blog called SinGeo. This just shows how data from Google Earth can be be used to greatly enhance many types of activity not only sailing using the coastal and bathymetric data now being made available. The work being carried out by OGC to standardise the interfaces and KML scripting language and their strategic partner scheme that is helping to develop the businesses of companies such as PCI Geomatics will simply challenge the incumbents in our marine industry (yes, Raymarine! ) to up their game and also to reduce prices. Russ March 22nd, 2009| One comment so far - be the next!|Tags: Google - Navigation. There are a number of excellent maps being generated using the Google Maps API. But one that caught my attention was the map of piracy incidents plotted using data from the IMB Piracy Reporting Centre of the ICC International Maritime Bureau . The ICC International Maritime Bureau (IMB) is a specialised division of the International Chamber Of Commerce (ICC). The IMB is a non-profit making organisation, established in 1981 to act as a focal point in the fight against all types of maritime crime and malpractice. IMB’s main task is to protect the integrity of international trade by seeking out fraud and malpractice. For over 20 years, it has used industry knowledge, experience and access to a large number of well-placed contacts around the world to do this: identifying and investigating frauds, spotting new criminal methods and trends, and highlighting other threats to trade. They also issue a weekly piracy report which is a summary of the daily reports broadcast by the IMB’s Piracy Reporting Centre to ships in Atlantic, Indian and Pacific Ocean Regions on the SafetyNET service of Inmarsat-C.
Russ August 27th, 2008| No comments - be the first!|Tags: Google - Navigation.